Rural broadband policy can be hard to explain. That’s why we made this fact sheet. It explains how rural America can have high-speed Internet service without breaking the bank. Give this to your neighbors, to your co-op board members, city council members, county officials, or state legislators. 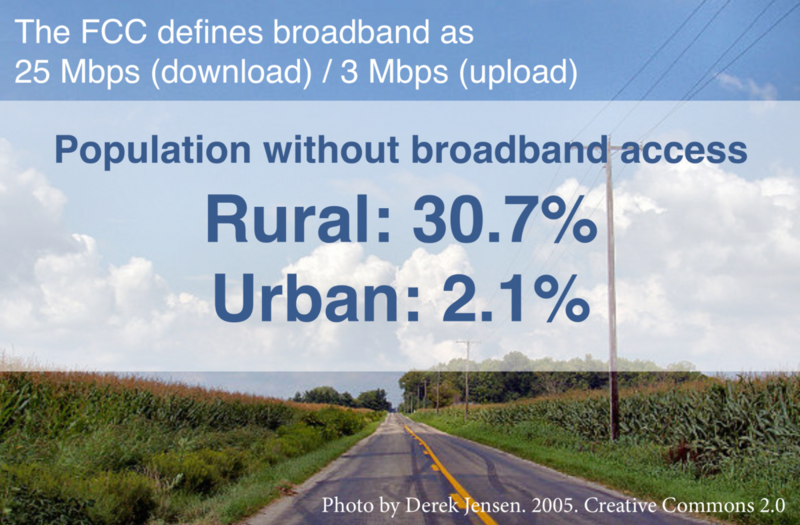 This fact sheet is full of information that answers common questions, such as: What is broadband? What is Fiber-to-the-Home? Who doesn’t have access? How much money does the government spend to improve Internet infrastructure? What can we do today? The fact sheet also explains the role of cooperatives and municipal networks in bringing high-speed Internet service to rural communities. About 60 electric cooperatives and more than 200 telephone cooperatives have fiber projects. Many small towns have also built their own networks. Explore more on our Community Network Map. Host a screening of the “Do Not Pass Go” video to educate your friends and neighbors on these issues. We’ve made a guide on how to host a screening and generate conversation in your community. Create a local group to discuss Internet access: Why does your town need high-speed Internet service? What resources do you have? How much funding do you need? Sometimes the data doesn’t match reality. It’s up to your community to find a way to get the connectivity you need. If you liked this fact sheet, check out our other fact sheets here. Learn about municipal networks, net neutrality, and more. We also write daily stories and highlight in-depth reports. Subscribe to our newsletter to stay up-to-date on all the latest information.